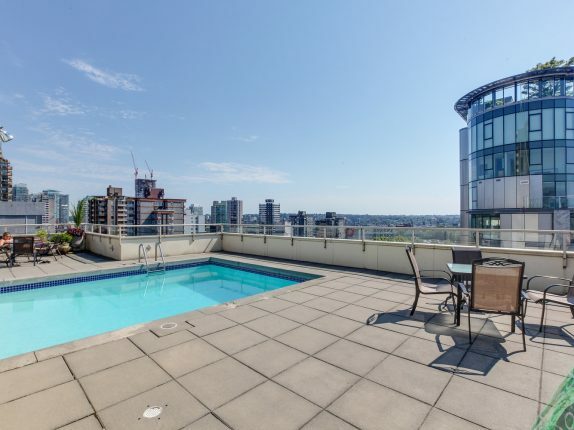 Lovely N facing (cool in summer!) 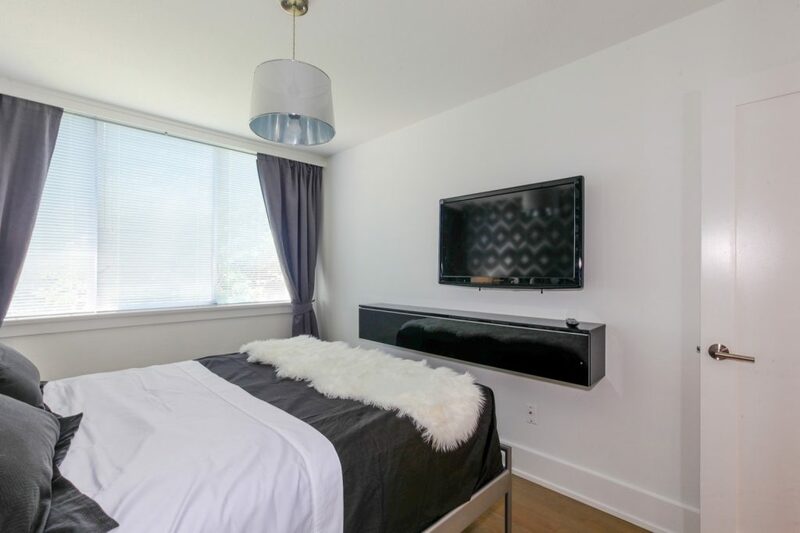 suite on quiet street in the heart of English Bay . 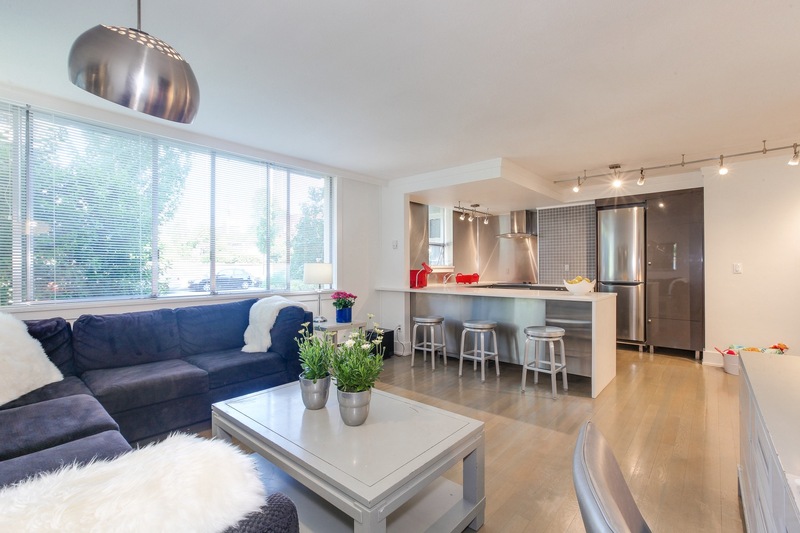 Open house Sunday August 12, 2-4pm. 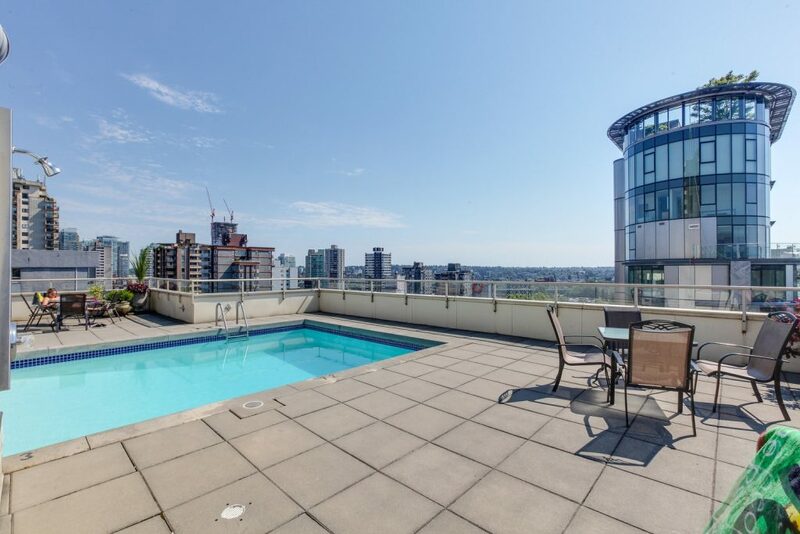 Lovely N facing (cool in summer!) 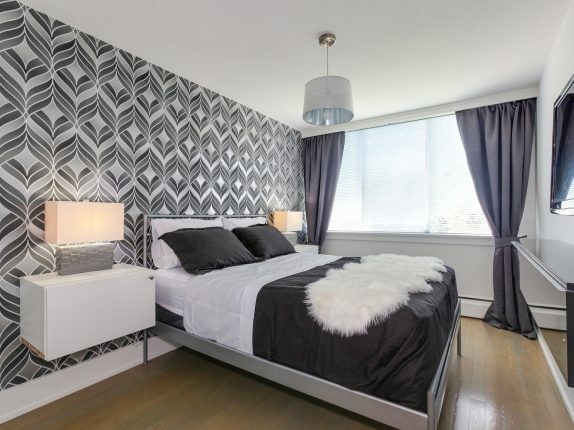 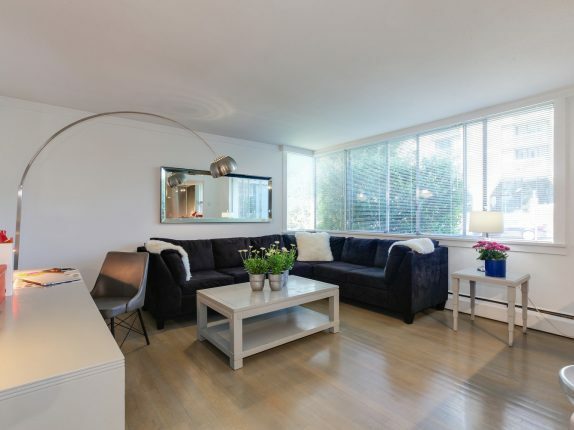 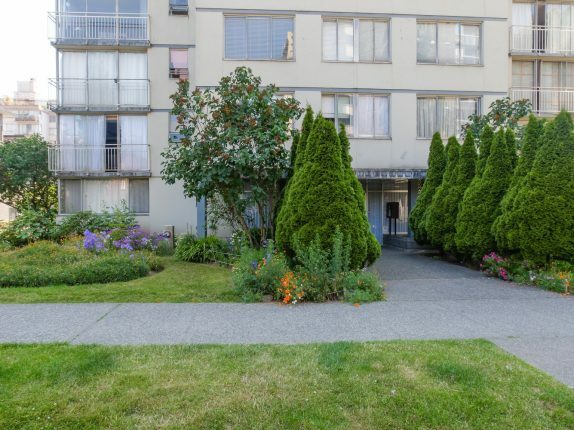 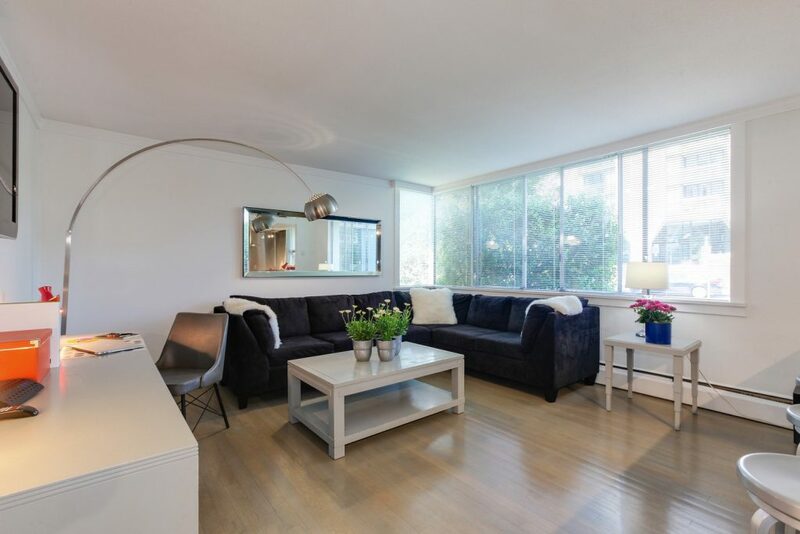 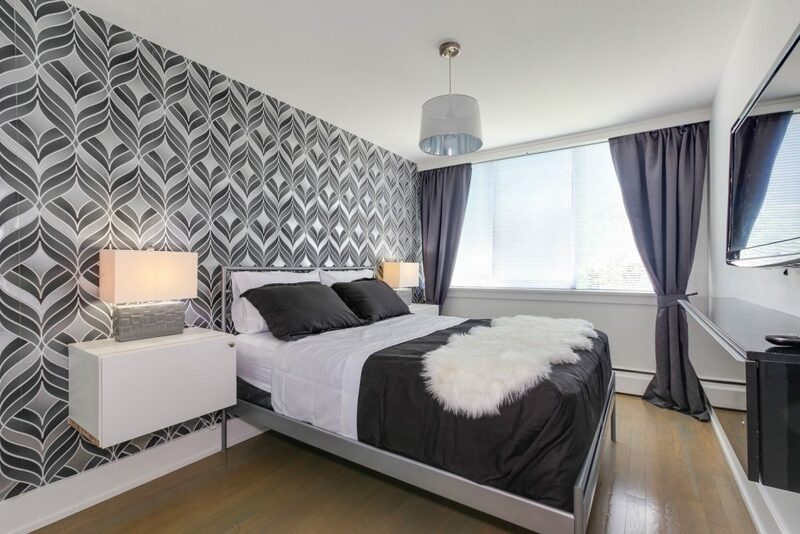 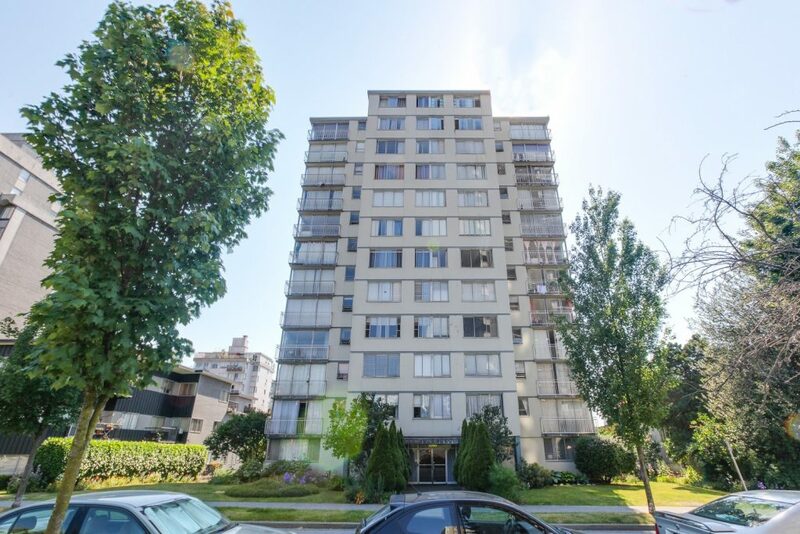 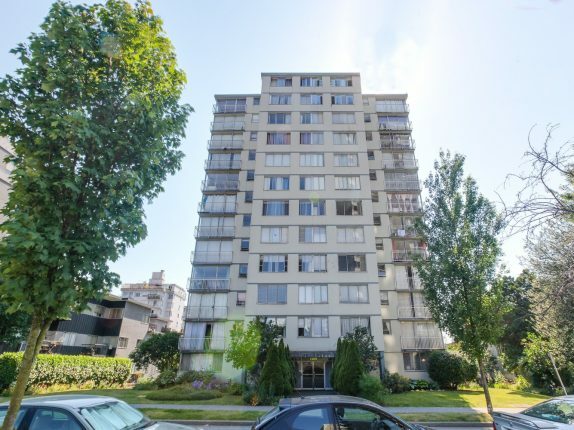 suite on quiet street in the heart of English Bay 1 block to transit, shopping & restaurants. 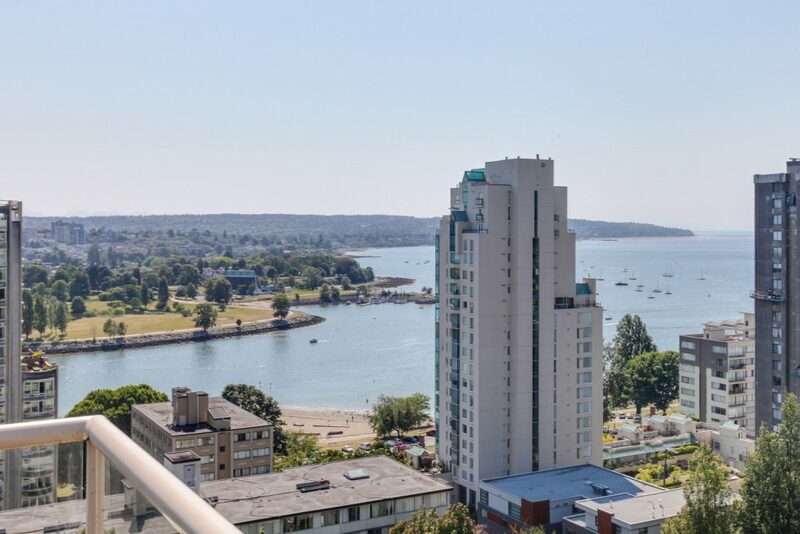 2 blks to the seawall, beach & aquatic centre. 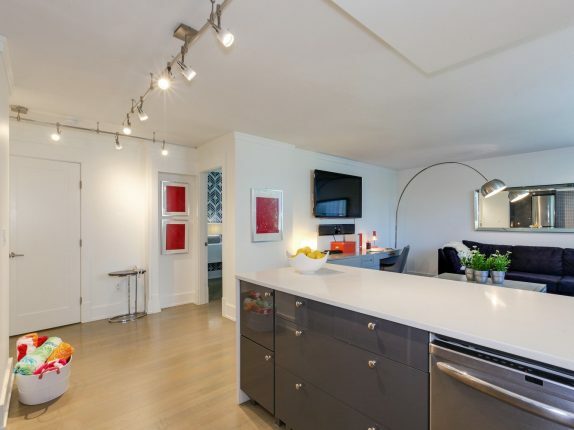 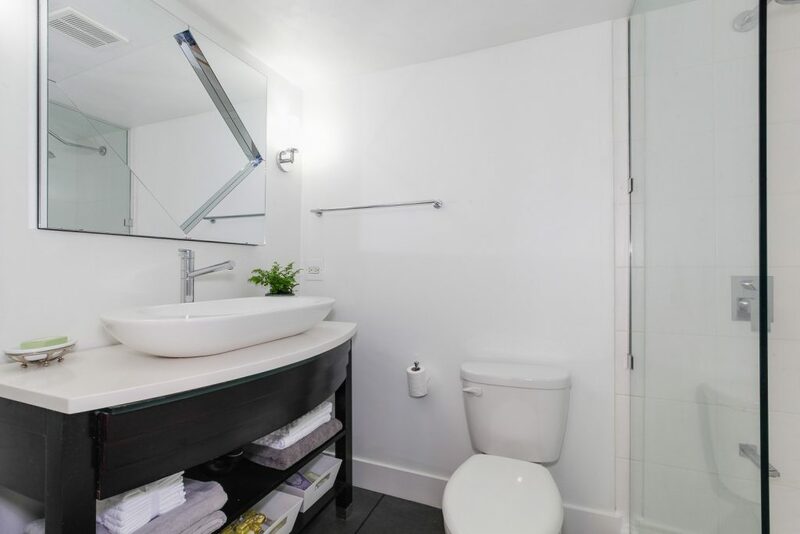 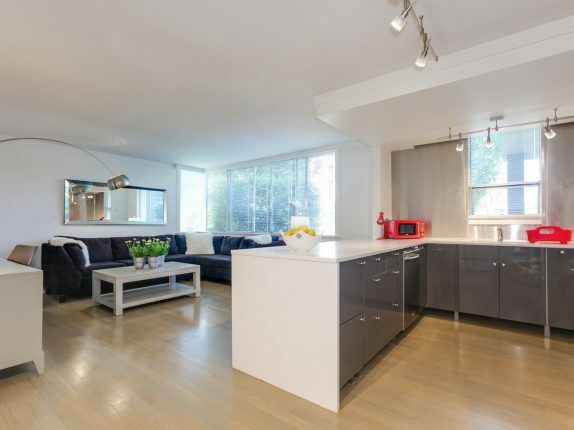 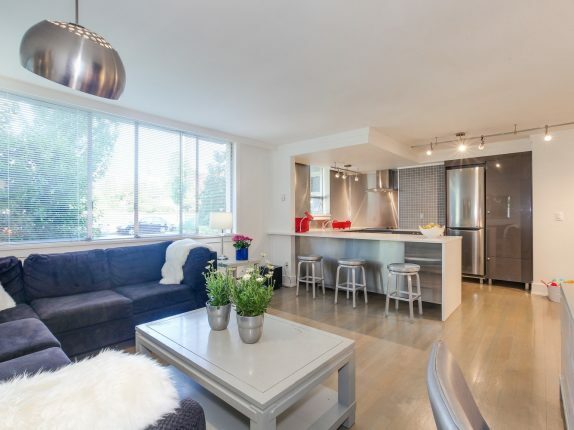 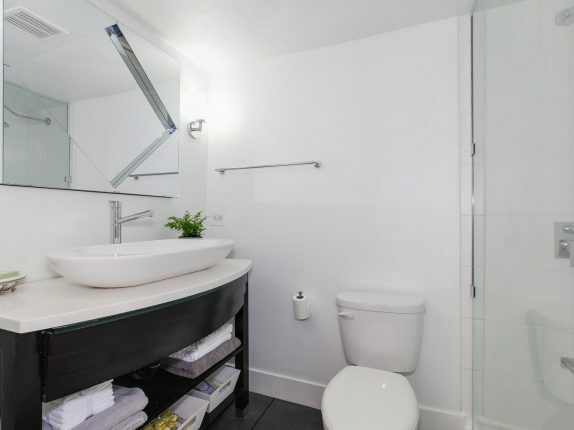 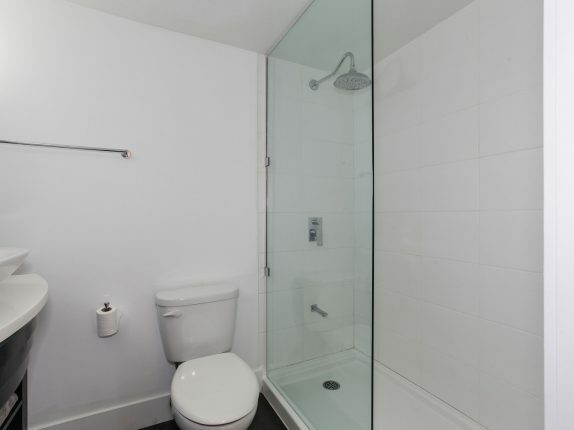 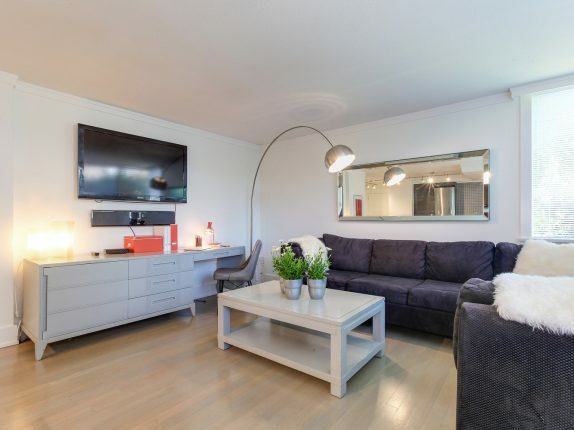 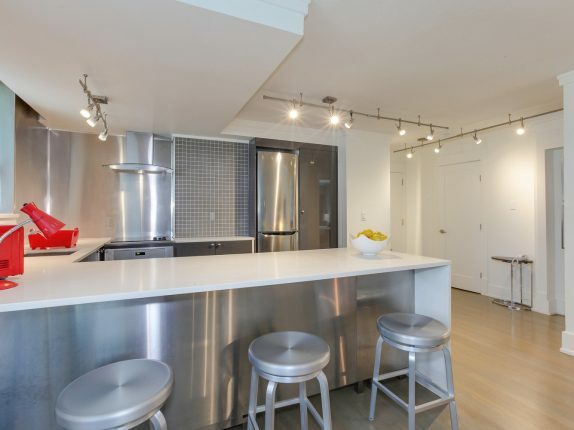 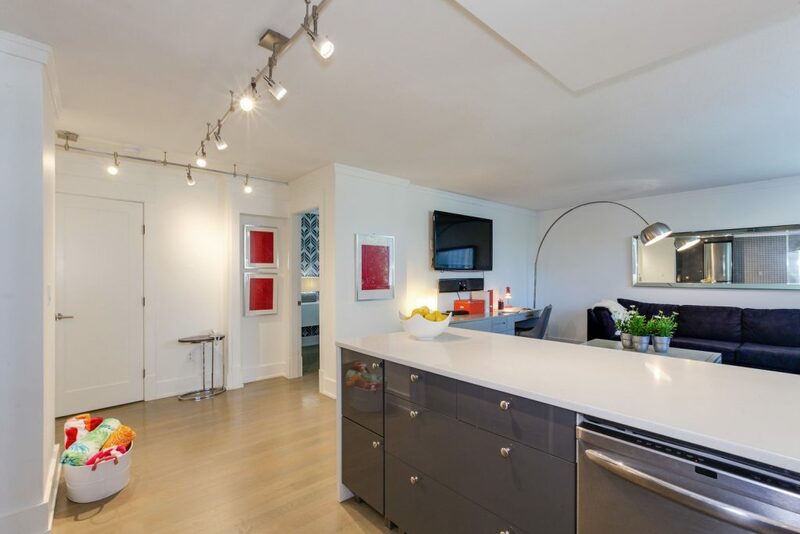 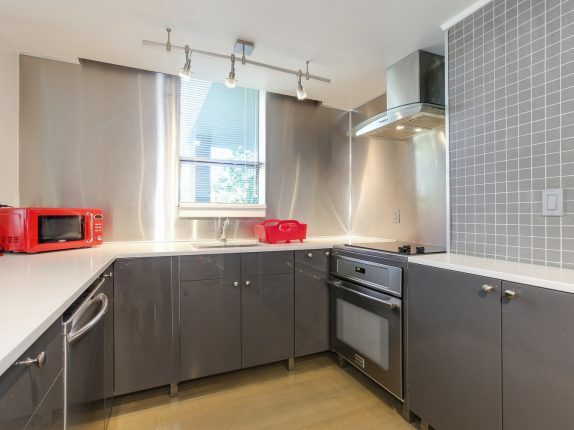 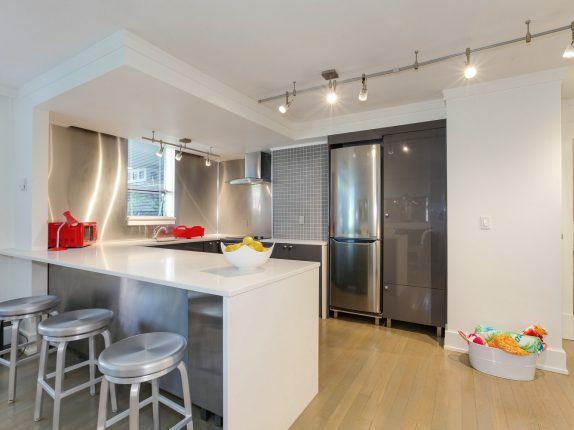 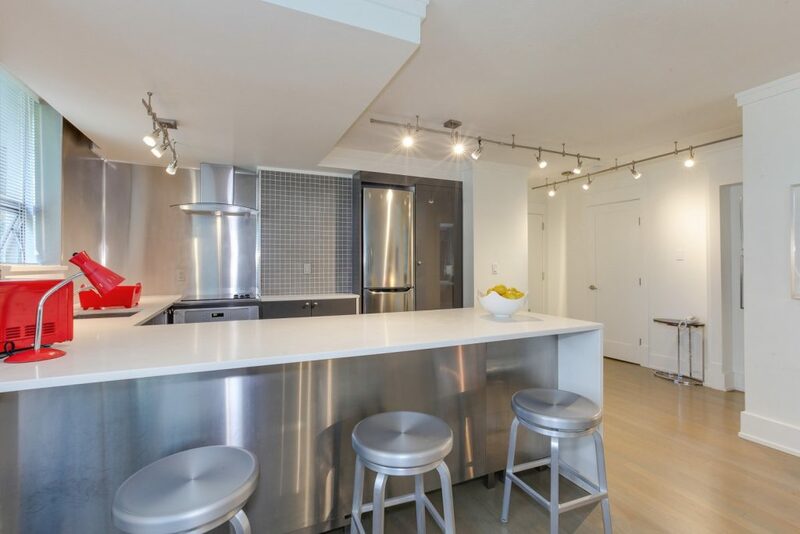 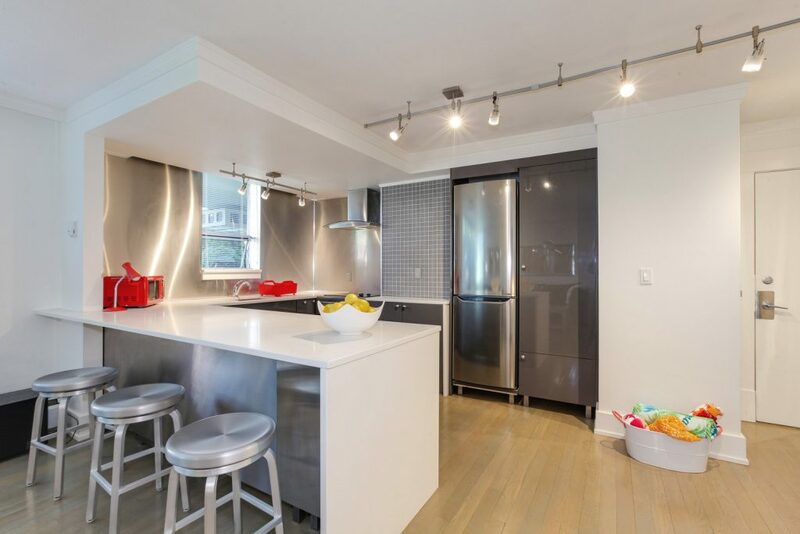 Fully furnished, this move in ready suite is the perfect Pied a Terre or turn key furnished rental. 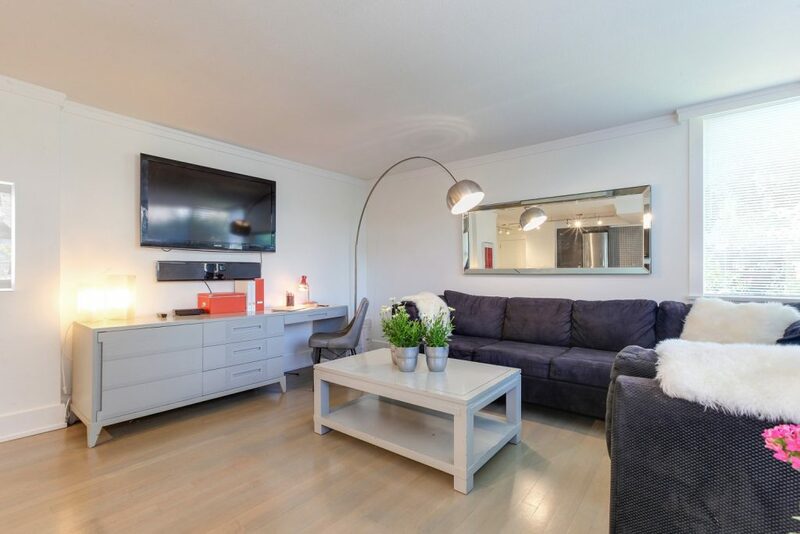 Bright, airy one bedroom has high ceilings, fresh paint, real oak hardwood floors, large closets with closet organizers, new custom fitted venetian blinds & window screens, all new kitchen essentials. 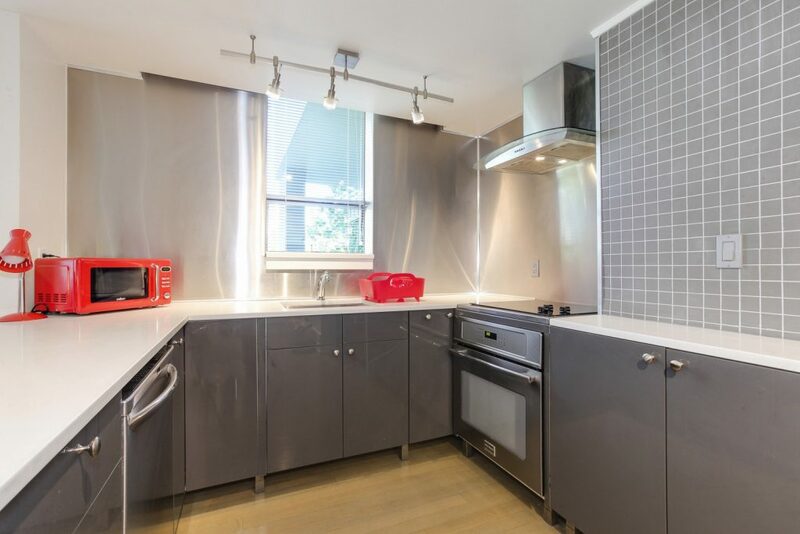 Brand new fridge under three year warranty. 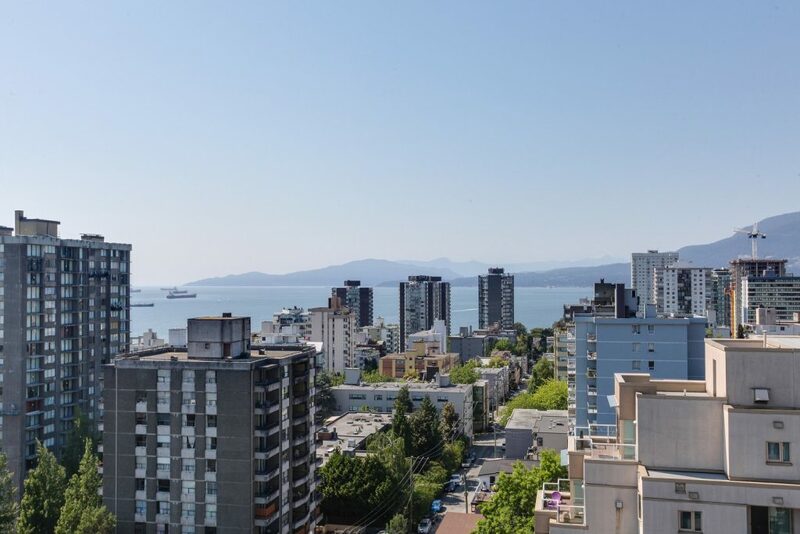 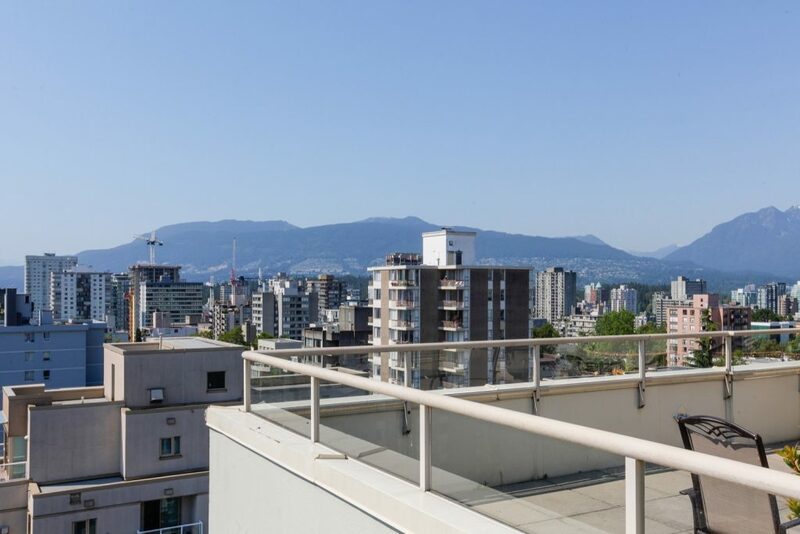 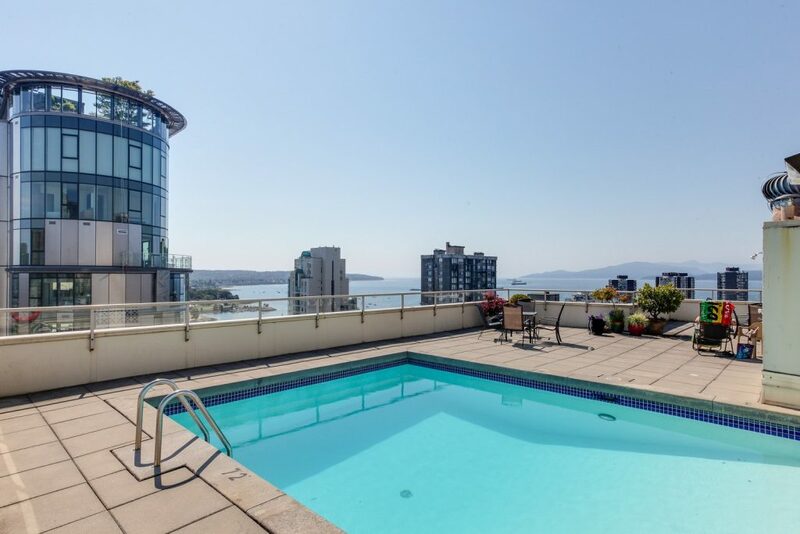 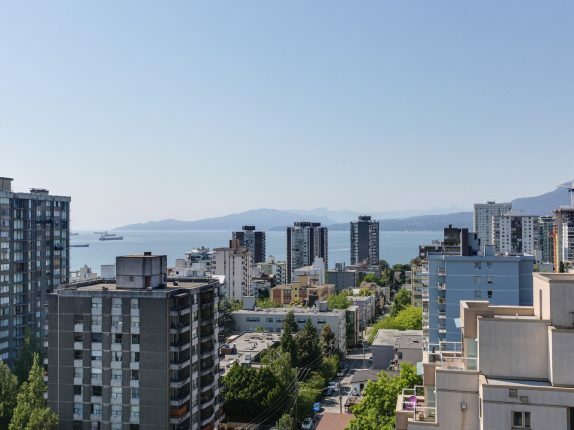 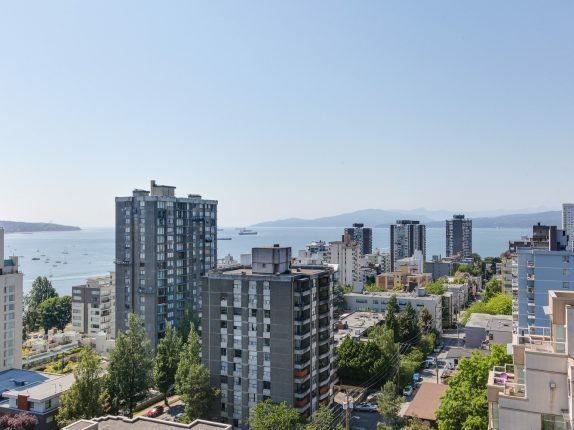 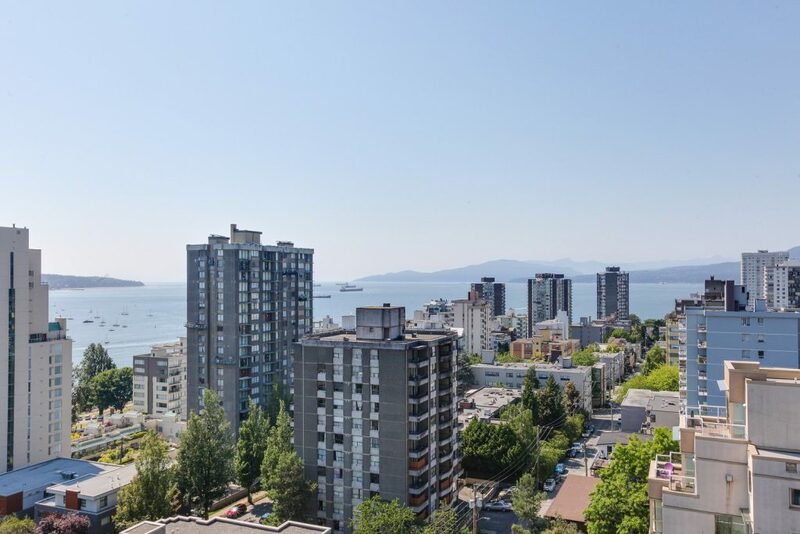 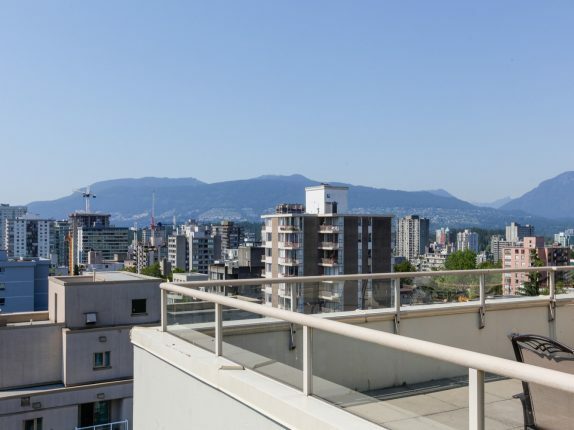 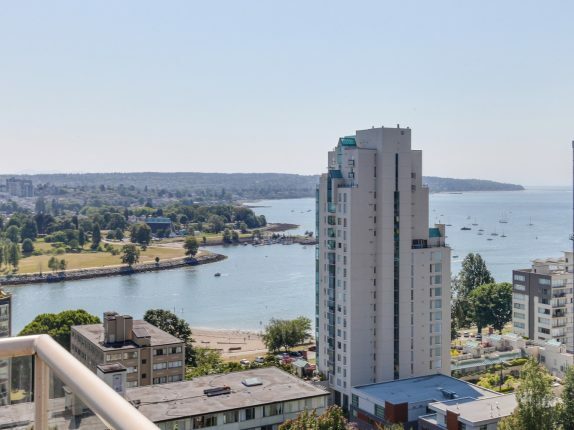 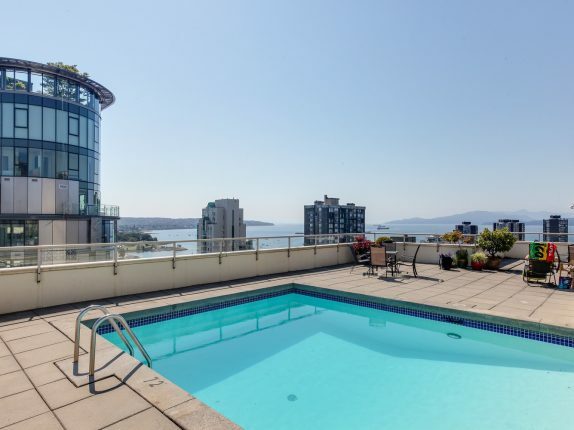 Rooftop deck with pool, 360 views of English Bay, Maintenance fees include heat, hot water & property taxes. 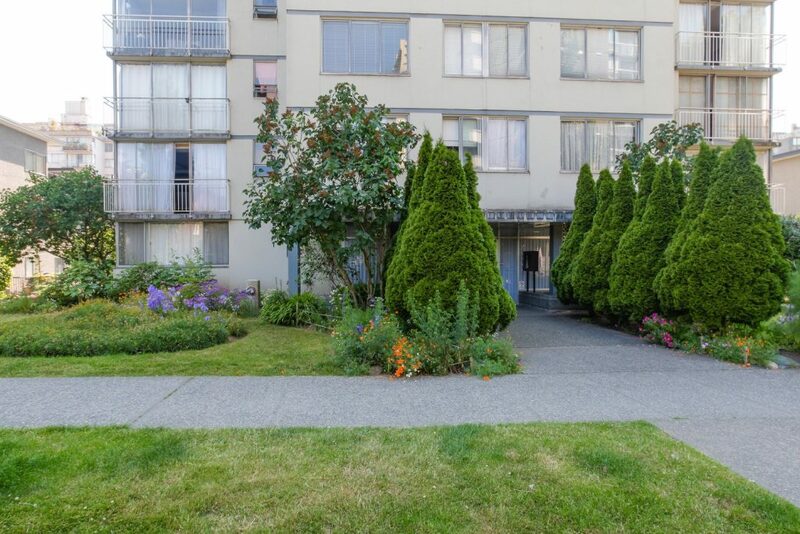 Parking is available for $100 month and $30/month storage locker. 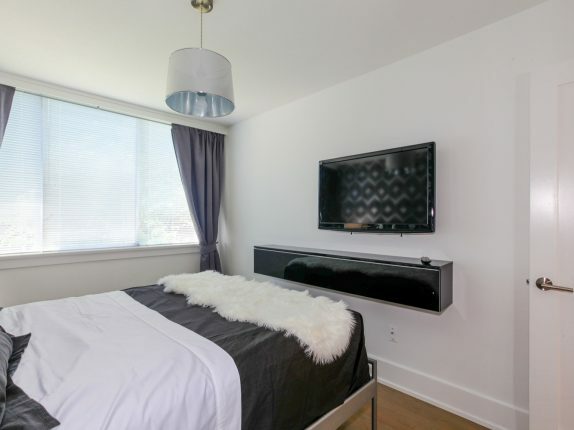 Owner has prepaid one year unlimited internet service. 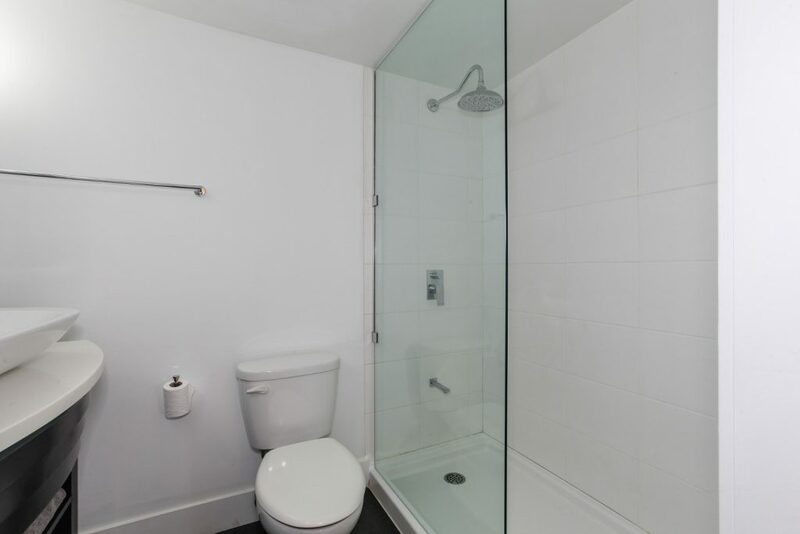 Leasehold prepaid non Strata until 2073. Open house Sunday August 12, 2-4pm.